MORE COMMONLY REFERRED TO AS HOUSE COLLECTIONS, OR SEMI CUSTOM SUITES. HOWEVER, INSTEAD OF EMPHASISING TO YOU A THEME, A CERTAIN SCRIPT OR LAYOUT; HERE, THE FLOWERS ARE THE STARS OF THE SHOW…..AND ARE TO BE USED TO SUIT YOU! 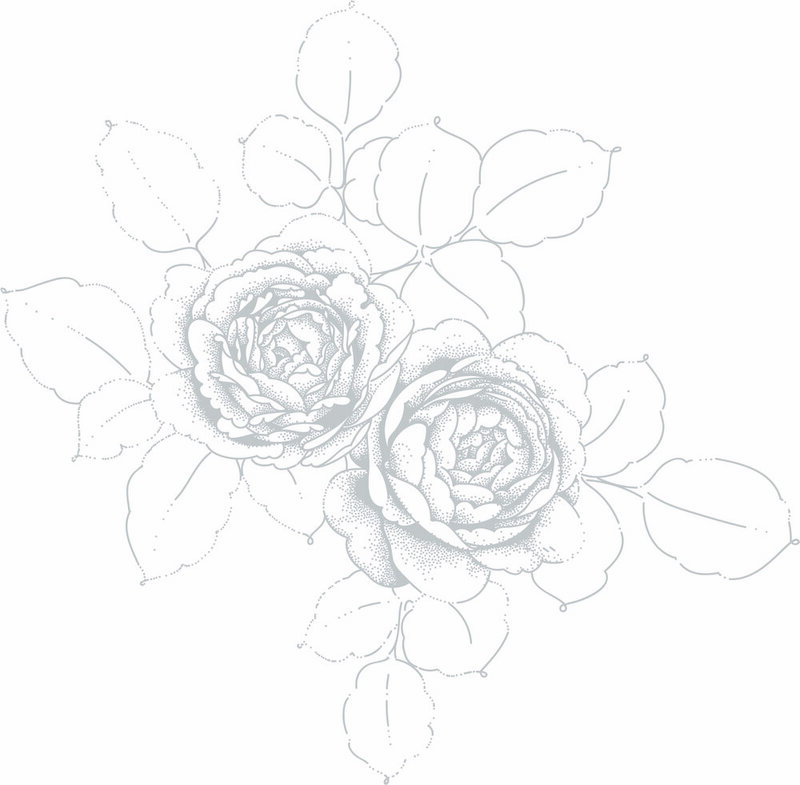 THE FLOWERS HAVE BEEN HAND DRAWN, SOMETIMES IN BOTH GRAPHITE AND COLOUR PENCILS - IN DIFFERENT COMBINATIONS, AND AT DIFFERENT PHASES OF THE FLOWER’S DEVELOPMENT, TO REALLY GIVE YOU AN ABUNDANCE OF CHOICE. YOU MAY PREFER TO USE A SINGLE FLOWER, OR THE ENTIRE COLLECTION OF ILLUSTRATIONS. THE STATIONERY IMAGES ARE TO INSPIRE AND SUGGEST USE. YOU MIGHT WANT TO CHANGE COLOURS, ADAPT LAYOUTS, AND EXPERIMENT WITH FINISHES! WHETHER YOU ARE A FAN OF THE ORIGINAL SKETCHED LOOK OR A MORE MODERN OUTLINE ONLY DESIGN I HOPE THERE’S A VERSION THAT WORKS FOR YOUR STYLE. THE SUBJECT OF THIS COLLECTION IS THE TRULY BEAUTIFUL DAVID AUSTIN ROSE “QUEEN OF SWEDEN”. IN BLOOM BETWEEN MAY - SEPTEMBER. SHE IS A GORGEOUS, FRAGRANT SUMMER ROSE. A PERFECT ADDITION TO ANY BOUQUET AND A DEFINITE BEAUTY TO HAVE AS A FEATURE OF YOUR DAY! PETALS, PETALS AND MORE PETALS; THAT SEEM TO BE SO WONDERFULLY ORDERED. THERE’S A CALMING AESTHETIC APPEAL TO THIS STUNNER. AVAILABLE IN SUCH AN ARRAY OF TONES SHE CAN BE BOTH DARK - DRAMATIC, AND PALE - ROMANTIC, DEPENDING ON YOUR CHOSEN COLOUR SCHEME. ANOTHER GORGEOUS DAVID AUSTIN ROSE. THIS LADY HAS LAYERS FOR DAYS!! DESPITE BEING A LARGE FULL BODIED ROSE SHE HAS A VERY FRAGILE FEEL, SUITING A DELICATE COLOUR PALETTE AND A FINE DETAIL FINISH. THAT BEING SAID, FEATURE A GROUP TOGETHER AND SHES A CONFIDENT SHOW STOPPER!